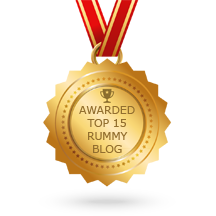 Home » How did Indian Rummy become as popular as it is today? According to some historians, French settlers adopted the game from Poker because of its ideal gameplay. This form of poker was earlier known as rum poker and the new game was named Rummy. There is another theory that links the game to China. There existed a card game known as “MahJong”, which followed a similar pick-and-drop game pattern like rummy. Chinese were absolutely intrigued by the game. According to this theory, the game must have reached India through Chinese settlers who came here for spiritual reasons. There exists another theory linking rummy with the Japanese game “Hanafuda”. However, concrete evidence linking both the game isn’t available at present. Though Indian Rummy was incredibly popular as a past time in homes and during festival gatherings, problems began when it was played in clubs. Critics of rummy were contending that rummy is a game of luck and it constitutes as gambling which is unlawful, so they took the matter to the court. After a thorough examination from both the ends, Supreme Court of India, in the year 1968 delivered a landmark judgment declaring Rummy as a game of skill and ruled that playing rummy with stakes does not constitute as gambling. Though the game was already popular in India, its popularity skyrocketed after the game went online. Online version solved all the problems physical version had – getting people, setting up accouterments, and visiting clubs. Now at a click, you can be part of a community that houses millions of players and can play the game anytime you like. With the availability of many Rummy mobile apps, games that can only be played only in casinos are now available at the touch of your finger. Like Poker, there is a huge market for Rummy going ahead. Looking at the exciting gameplay and lucrative rewards, the game is slowly making its inroads in the international gaming arena. 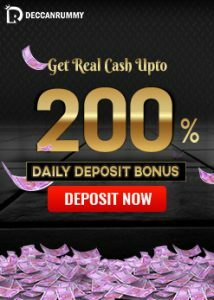 Just like the poker circuit, the days for international rummy tournaments like WSOP, World Poker Tour, Asia Pacific Poker tour are not very far off. 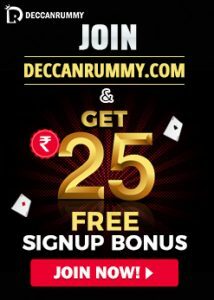 As far as Indian market goes, there are already hundreds of rummy sites available that are offering plenty of options to the Indian gamers and the existing leaders will be looking to consolidate their position and increase their user base with exciting rummy promotions and offers. It’s a low hanging fruit for the players at the moment and they are already pouring in droves to enjoy the game!